The THINKY ARM-310 engineering compounds mixer provides consistent mixing results with simple operation and no mixing implements to clean. 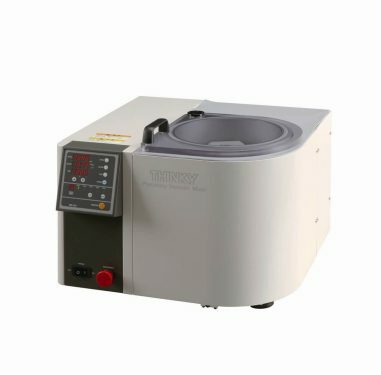 Like the rest of our THINKY mixing machines, the THINKY ARM-310 uses planetary centrifugal motion to quickly and homogeneously disperse engineering compounds such as adhesives, sealants, lubricants, cosmetics, or pharmaceuticals. 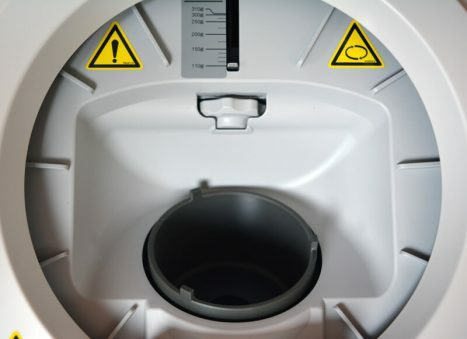 Mixing takes place in removable containers, meaning that there is no mess to clean up after mixing, thereby saving valuable time and avoiding cross-contamination. Upgrade your mixing process to one that is automated, works in seconds to minutes, and provides the same mixing results every time, with a fast return on investment compared to manual mixing. Mixing programs can be stored in the mixer’s memory for easy operator use. 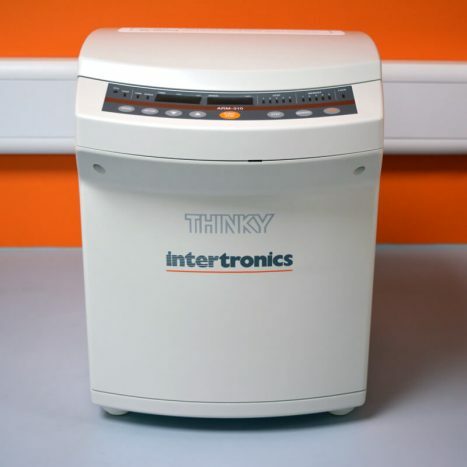 For compounds which require degassing or vacuuming, please see the other mixers in our THINKY range. 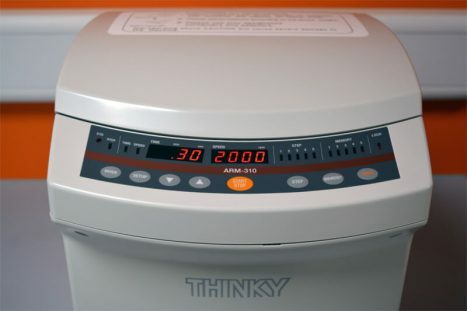 The THINKY ARV-310 is an industrial non-contact "planetary" mixer for all engineering compounds. 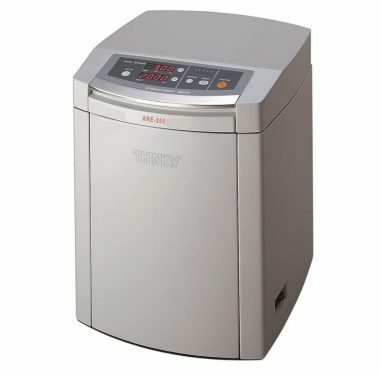 This vacuum degassing machine mixes, disperses and degasses up to 310g of material to high levels in seconds to minutes, removing any micro-bubbles using an integral vacuum function.